The country’s largest brewer, Delta Corporation Limited, will spend almost $32 million in dividends payout, becoming one of the country’s top dividends payers. Delta company secretary Alex Makamure said the payout will be made to shareholders registered in the company’s books by tomorrow. “The board of directors declared an interim dividend number 122 of $2,5 cents per share payable in respect of all the qualifying ordinary shares of the company to be paid out of the profits for the current financial year,” Makamure said. “This will be payable to shareholders registered at the close of business on January 25, 2019.The dividend amount is $31,7 million.” The development comes at a time when many local companies are on the brink. Although shareholders are always looking for comfort through a dividend payout, several companies reinvest free cash flow back into their troubled businesses, where investment spent goes to productivity. Despite its excessive cash holdings, Delta has been battling to make dividends payments to foreign shareholders, suppliers and creditors due to its failure to source requisite Nostro funds to settle foreign commitments. This also means Delta’s situation is compounded by lower inventory holdings, because several foreign suppliers have stopped supplying critical raw materials. “The acute shortage of foreign currency led to disruptions to business operations, particularly the soft drinks. The board is concerned about the company’s ability to meet its foreign currency obligations and access to imported raw materials. It is hoped that the ongoing engagements with key stakeholders will result in improved access to foreign currency,” Delta said. In its third quarter report to December 31, 2018, Delta said its lager beer volume grew by 27 percent and was up 43 percent for the nine months. The sorghum beer volume grew by 15 percent compared to prior year for the quarter and six percent for the nine months to December 31, 2018. The company, however, said there were supply gaps due to frictional shortages of packaging materials and extended plant breakdowns mainly caused by lack of foreign currency for spares and contractual services. 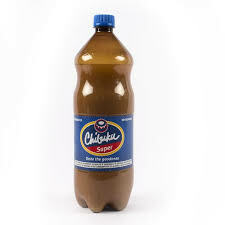 Chibuku Super contributed 85 percent of the volume.